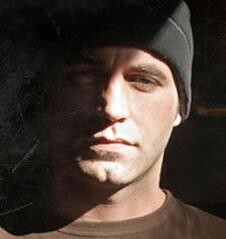 Brandon Darby is an activist who rose to international recognition for his role in co-founding and directing the Common Ground Relief organization in New Orleans’ 9th Ward in the aftermath of Hurricane Katrina. His story is one of a leader of the radical Left who saw the light and became an American Hero for the right. Former liberal activist/turned tea party conservative Brandon Darby and Sheriff Joe Arpaio were featured speakers at the Choose Liberty 2012 event sponsored by the Eastern Orlando Tea Party. As Sheriff Arpaio took the podium, Darby called security over to point out Occupy Orlando activists where in the audience of the private event preparing to cause a disruption. When the activists tried to interfere with Arpaio’s right to speak and the tea party’s right to peaceably assemble, Darby and Chad Biddinger of Libertylink.com escorted the trespassers out in an emphatic way. That was great. OWS’s freedom of speech should not take away Sheriff Arpaio’s freedom of speech. OWS wanted to do political theater there, not have an honest debate. They want to squelch opposition to their point of view, just as Communist and fascist regimes did and do.